Smart hearing aid technology, more energy required. 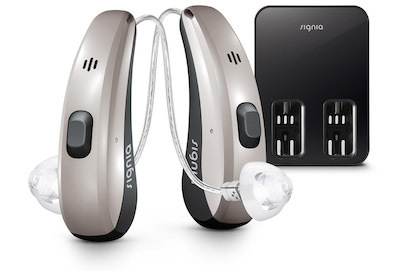 Why are rechargeable hearing aids are a great option? Traditional hearing aids are powered by zinc air batteries, with 1 to 1.6 voltage. In older devices, which offer less advanced technological features, these batteries would last between one to two weeks. For binaural (both ears) hearing aid wearers, this came to an average of 100 zinc air batteries a year. These days, with newer technology, hearing aids require more energy. This means if you’re using zinc air batteries, you’ve probably seen an increase in your battery replacement. Specialists estimate that 150 billion zinc air batteries make their way to landfills annually. Besides the cost of batteries to the hearing aid wearer, this amount of waste takes a toll on the environment. Zinc air batteries have been found to seep into underground water systems via landfills. 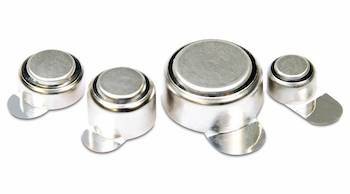 Rechargeable hearing aid batteries have been available for at least a decade, but they have not been widely considered until recently. Rechargeable solutions have undergone major improvements, making them easier to use and more reliable in their charge. For people who experience dexterity issues, rechargeable batteries eliminate the need to fumble with small components of the hearing aid. Rechargeable hearing aids are placed into a charging station overnight, and wearers wake up to fully charged hearing aids ready for their day! Pure Charge+Go is a fully rechargeable hearing aid. It charges via the lithium ion wireless inductive charger. After just 30 minute charge Pure Charge+Go will last for 6 hours. With just a 3 hour charge they will last all day. The Signia Siemens Pure Charge+Go has direct connection to the iPhone and connection to Android via the StreamLine Mic. The user can take calls and listen to music directly. The new Marvel platform means that the latest hearing device from Phonak, the Audeo Marvel, will give you a rich sound experience without limitations. Not only are the Audeo Marvel’s individual features something to get excited about, but the combination of these features into one cohesive system will bring you the best listening experience. Phonak knows that two ears are better than one, and this new technology empowers you to use both your ears to hear all the sounds around you.